The revelation came as part of an interview with former Sony president Kunitake Ando by Japanese technology journalist and longtime Apple follower Noboyuki Hayashi. Hayashi notes that Jobs' admiration for Sony and its co-founder Akio Morita often saw him make routine, casual trips to the Sony's headquarters. There Jobs reportedly inspired Sony to build GPS chips into its cameras, drop the optical disc drives from its PlayStation Portable line, and even drew inspiration for how Apple's then fledgeling retail business should operate based on Sony's SonyStyle shops. One of Jobs's first orders of business upon his return to Apple in 1997 was to shutter the Mac Clone program that licensed the Mac OS to third party hardware makers because he believed it would ultimately prove damaging to the Mac's ecosystem. "Steve Jobs believed that Mac-compatible business would harm not only Apple's business but also the 'Mac' brand," Hayashi wrote. "But that same Steve Jobs was willing to make an exception in 2001. And that exception was Sony's VAIO." It's believed that the OS running on that Sony VAIO was an early copy of the Intel version of Mac OS X, which Apple then presumably hid for another four plus years before announcing that it would be switching all Macs to run on Intel chips —rather than PowerPC chips —in June of 2005. Though Ando was a fan of the original iMac and believed the Mac and VAIO fed off the same philosophies, it was around that time in 2001 that Sony was witnessing the VAIO gain popularity and traction in the market, with the company finally having finished optimizing its hardware and software for the Windows platform. 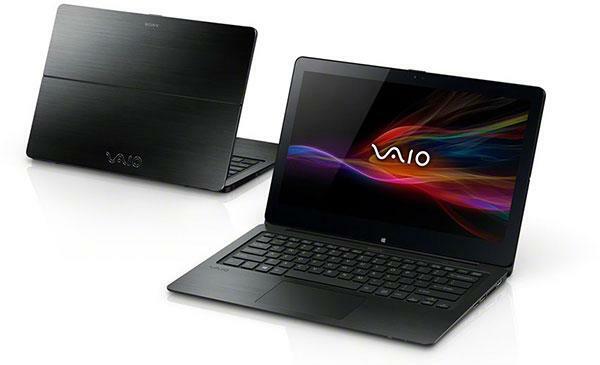 "Because of this, most of the VAIO team opposed asking 'if it is worth it,'" Hayashi wrote. "And that was the end of story for this Mac-compatible VAIO."